There is a “Big unpronounceable “in the relationship between work, technology and surveillance, writes Simon Head on ‘Mindless, Why are Smarter Machines Making Humans Dumber’ (Basic Books, p. 230): it is” the world of CBS ” , the Computer Business Systems which are pioneers in the use Walmart, Amazon, UPS, Dell, Toyota. Head, divided between the college career at New York University and Oxford and the project management of the New York Review of Books Foundation, defines them as “ amalgam of different technologies put together to perform complex tasks in the control and monitoring of business, including employees “. That is, tools to monitor the performance “ real-time ” and control every aspect of work life in the organization. And that contain within them “ expert systems that mimic human intelligence to perform cognitive tasks that are an integral part of the business processes that the system must handle “. A few instance. Back in 2004, less than 89 of the 100 largest U.S. companies according to Fortune did you use to automate personality tests that assess the suitability of potential future employees. In 2010, Walmart has introduced ‘Task Manager’, a software that tells his workers what they need to do, in that time and if they have complied with the expectations – if you do not make it, and many do not make it, taking penalties. 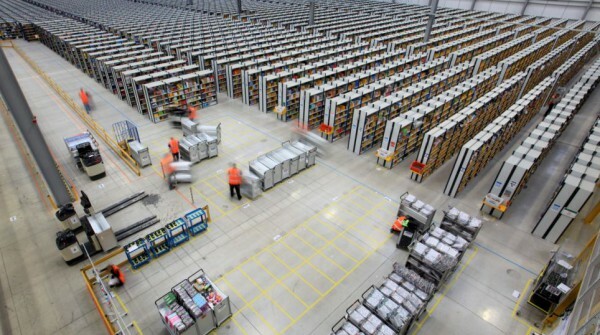 And the notes are no exception monitoring practices employed by Amazon, with the packing and moving of parcels planned and drawn per second. Indeed, his system of monitoring employees’ is the most oppressive’ve ever met , “writes Head, with a strong experience in the field. Even if it is for the Business Activity Monitoring (BAM) IBM, which speaks of human relationships as a factor similar to those between data, systems and services, manipulated via drag and drop , which is “ should be closer to a digital version of Huxley’s Brave New World “. It is the heart of the corporate panoptics , the Panopticon company where workers are no longer regarded as autonomous human beings and independent complaint Head, but paintings and encouraged to be as they want the engineers who set out the processes within the company, “ objects disembodied speed and efficiency inextricably linked to the electronic symbols on the screen “. Point on which the author repeatedly returns: the world of CBS, wrote again, brings a “dehumanizing rationality ” in the functioning of the economy, with a “ authoritarianism ” that us “ deumanizza transforming into abstract entities electronic and statistics submitted to the scientific rationality of the system “. A rationality that is instead the product of human decisions, hidden under the dress falsely impartial and neutral algorithms. If the speech sounds familiar it is because the ideology that informs, and that is according to Head the root of the contemporary model of production, is the Fordism of what Andrew McAfee and Erik Brjnyolfsson call “ First Age of the Machines “. And most importantly, Taylorism, made of spasmodic measurements of each gesture and, more than anything else, the “ separation of the detailed planning of the work from its execution “. It is from this “ unequal separation of labor “, that separates those who “ creates and controls systems ” by “ who is obedient to the orders of the system and must follow “, which derive many of the inequalities that we have seen grow over the years, and not only in America, and that more and more authors – by Jaron Lanier at the same Brynjolfsson and McAfee – also impute to technological progress. If Taylor’s Scientific Management is therefore “ presence that hovers in the U.S. economy simultaneously “, which is the invisible made visible and denounced, not for this there are novelty items. Indeed, the spread of automation and monitoring tasks from the “blue collar ” to those of “white-collar ” constitutes an extreme variant and extremely worrying. Thanks to CBS, it says, the effects of industrialization come up to financial services to the world of education (the disturbing story of how the bureaucracy of algorithms and performance will be pushed to the mode of operation of an institution as prestigious as Oxford ), the wholesale and retail trade, health care, management of human resources and the relationship with customers. In this way, “ we can all be working class “. Which means, in this context, clearly derived from Marxist, that we can all be disposed of, the victims of these “holes blacks contemporary economy ” of which we know little or nothing about but which attract more and more investments full-bodied, Head writes. And when “ human side of this new industrialism ” is likely to remain out of the calculation. How to get out of this mixture of pervasive surveillance (and thus the culture of distrust), lack of responsibility for decisions, reduction of arbitrariness and skills of individuals in the flesh in the operation of more and more organizations? And how to do it while researchers like Stuart Elliott argue that automation already covers potentially 80% of tasks, including those we once called intellectuals to protect them from the competition with the robot? First of all, there is no Head determinism in the relationship between technology and work: “ close identification of information technology and CBS with an authoritarian model of mass production, heavily influenced by the organization of scientific Taylor’s work is a result of history and culture (American, ed) and is not an intrinsic quality of the technologies per se , “he writes. This means that change is possible. But how? “ It is not difficult to see what needs to be done “, responds Head in closing: “Ides the creation of work to higher wages and higher skills required, with the component technologies CBS as a supplement rather than as a replacement for the expertise of workers, supported by education and training institutions and effective recognition and reward good performance “. Assuming that, sooner or later, the issue enters the public debate. It has not happened.